HockeyPucks hiking and highpointing: Warner Hill Fire tower - 605 Ft.
From the 102 / 28 rotary in Derry take East Derry road for 1.5 miles. 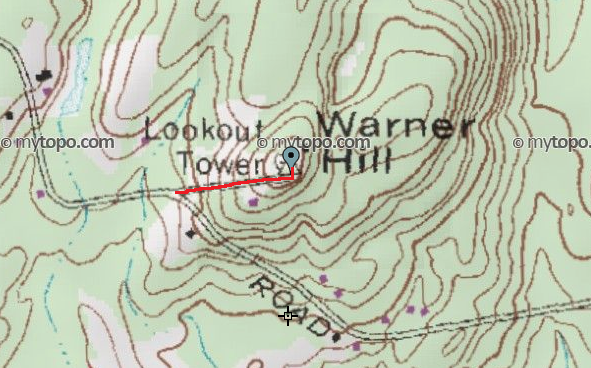 Turn right onto Warner Hill road for 1.2 miles to the intersection of Reuben Rd and the Warner Hill fire tower acess road. Park on the side of Warner Hill road. From parking go under or around the gate leading up the tower access road. The road is a paved surface. After 0.13 miles pass through the opening in the rock wall, the tower is 150 feet away. The summit is an open and grassy area and contains a very large cell phone radio tower and brick utility building. Limited views are available if you climb the tower steps. 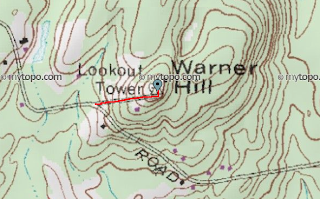 Warner Hill (605 feet) is the highest point in the town of Derry. 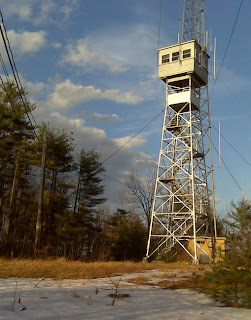 Unfortunately, the hike and fire tower are uneventful and in my opinion the worst of the 15 active fire towers in New Hampshire. 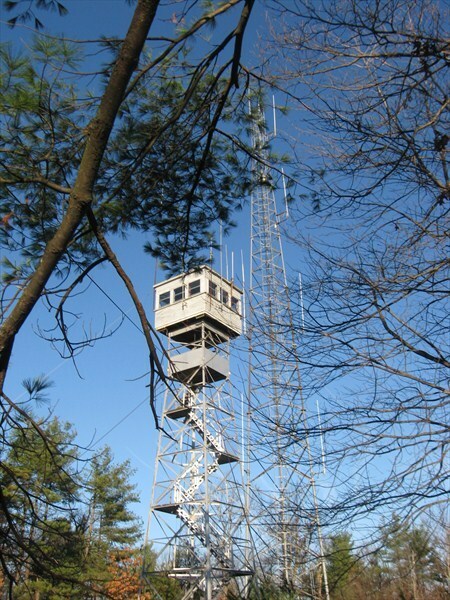 the tower is 41 feet tall and first began operation in 1939. The tower was used during WWII for aircraft detection by the Aircraft Warning Service. After the war the station was replaced with the current one. 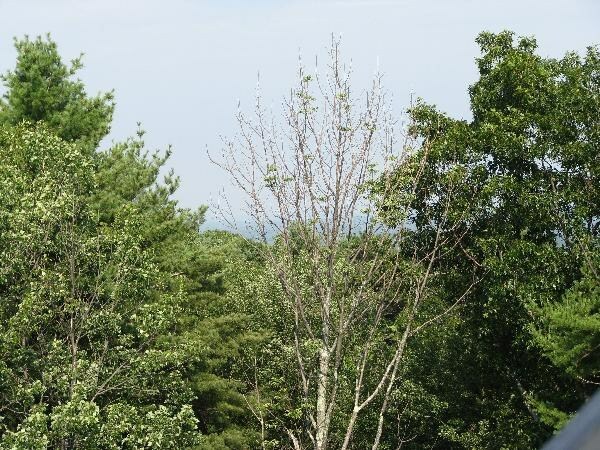 Limited views from the summit.